Little personal note, when Jon & I (Caris) first started dating, I quickly realized that although I have kind of particular tastes in music, he was one of the only people I had ever met who I could trust with the ipod in the car. I knew that he'd be able to pick out something I'd like and that trend continues to this day. He'll many times find songs I never knew I liked and open my ears to new artists and even genres. He has a way of picking up my mood and finding the perfect music to set the mood. And this is due to his decade + experience as a musician and DJ which is what makes him not only great at picking out the jams for a road trip, but also stellar at what he does professionally - performing and entertaining for hundreds of events every year. 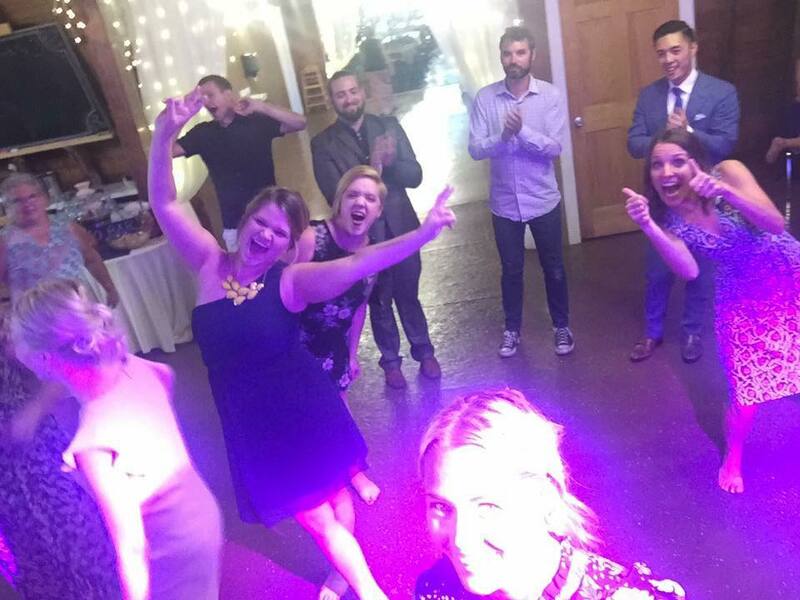 We know that planning entertainment for an event or wedding can get pricey, and it's often tempting to consider having a friend just throw something on an ipod, but here are a few reasons why we believe it's well worth the additional cost to bring a professional in for your event. Reading the Room - this is one of the most important skills for all our entertainers (live musicians & DJs) to have down pat: the ability to read the room. What we mean by this, is picking up on the subtle cues people give you, the non-verbals, the body language, and responding to what's needed. If you see that a specific genre or artist just isn't going over well in the crowd, knowing how to change gears. Or being able to find a good balance between slow songs that give people a chance to breathe, without losing the energy of the party and keeping the dance floor moving. If you have a pre-set playlist, this is one of the disadvantage. People might be losing steam and you don't have a way to reel them back in. But a live person at the wheel can steer this car where you want it to go! Technical Skills to Address Hiccups: It's certainly possibly to save on costs by renting a PA system, but unless you really have an understanding of the equipment and the basics of running sound, you could run into a situation where there are problems you just don't know how to troubleshoot. We bring back-up equipment and have never had any problem performing for an event because of technical issues. This is a guarantee you just don't have unless you're working with a professional who knows his or her trade inside and out. Customized Requests: Your event is just that YOURS. No one else has put on this exact event before and no one else has created exactly the same vision that you have for it. We know this and it's important to us to bring things to life in exactly the way you've envisioned. Often this means playing specific requests - and sometimes obscure ones - or finding ways to incorporate important guests into the show. We do this for both our live shows and our DJ shows and we want you to know that we're more than happy to create a unique and customized show that is exactly what you've been dreaming about. Whether you go with one of our live shows - Dueling Pianos, Solo Pianos, Live Bands or one of our DJ Only packages, we want you to know that our experience in the industry will pay dividends for you in producing the entertainment you need!